What is Orthodoxy and does it even have a future? 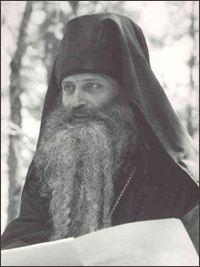 In 1976 the late Father Seraphim (Rose) wrote the following: “Orthodox Christians live today in one of the great critical times in the history of Christ’s Church. The enemy of man’s salvation, the devil, attacks on all fronts and strives by all means not merely to divert believers from the path of salvation shown by the Church, but even to conquer the Church of Christ itself, despite the Saviour’s promise (Matt. 16:18), and to convert the very Body of Christ into an organization preparing for the coming of his own chosen one, Antichrist, the great world-ruler of the last days. “Orthodoxy” or “Orthodox Christianity” has come to mean a number of different things to different people in different Orthodox jurisdictions. There are all kinds of “Orthodoxy” around today. Some of it is recognizable; some of it seems very strange, very abnormal. For some, Orthodoxy is just a “place we go to” on Sunday mornings – just like other Christians. For others, Orthodoxy is an ethnic club, where one can hear the cherished language and music of one’s youth in the old country – in itself, not wrong. For still others, Orthodoxy is a career, a way of making money, of meeting friends. But for a few, a very few, Orthodoxy is the very Ark of Salvation, created by the Living God Almighty in order to bring us safely through this world to the next. While on a trip to Russia in 1998, I had the privilege of venerating the holy relics of Saint Innocent of Alaska. Although he had died, full of years and honors as Metropolitan of Moscow, a great deal of his life had been spent as a married priest, Fr. John Veniaminov in Alaska, and then, later, as a bishop. In his journal, kept over a period of years while he was a missionary, he tells a remarkable story about his visit, unannounced and unexpected, to a particular island one day in April of 1828. As he stepped ashore he saw all of the natives standing there in a festive and joyous mood. They told him that they had been expecting him. And although some of them had been baptized into Orthodoxy many years before, they have been given no instruction in the Faith whatever. Where Orthodoxy was concerned, they were functionally illiterate. But an old man of their village had told them that a priest would come on this day and, when he came, he would teach them how to pray. The old man had also carefully described the priest – and indeed this was a description of Fr. John Veniaminov himself. In this account we glimpse the element of the supernatural, the “other-worldly”; the fact that there is another world besides this one, and another life, different from the life we lead here; and this other world sometimes, according to God’s will, impinges upon us here in this life, in this world. This means that in order for us to have true Orthodoxy, and in order for Orthodox Christianity to have any kind of future at all, we must ourselves first of all have some sense, some awareness of that other world and its closeness to us. Knowing about “other-worldliness” isn’t about having supernatural or some kind of “occult” experiences. But it is about remembering that this life is only very temporary, a pilgrimage in fact, and we should not hold onto it tightly because, ultimately, all of it will be taken away from us at death, anyway, and then we will have only the virtues that we have managed, by God’s grace, to acquire. This is an extremely important message for us Orthodox Christians to bring to the world: that there is indeed another world, that this is not myth or a fairy tale but something which is real, and that this present life here on earth is a preparation for that life which is to come, that there is accountability and responsibility and judgment, as well as reward or punishment awaiting us after death, and that the saints and angels are aware of us (as are also the fallen angels, the demons) and are longing to help us join them finally in the Kingdom of Heaven. In spite of appearances to the contrary, the world really does want to know this, wants to know the truth of this, and is longing to hear it from us in a convincing way. 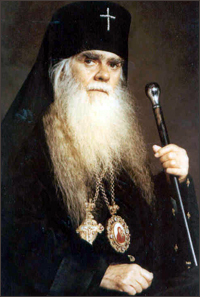 Several of the 20th-century teachers of the Church – men like St. John of Shanghai, Metropolitan Anthony Khrapovitsky, Fr. Seraphim Rose, and others – have explained to us more than once and in several ways that Orthodoxy is, above all, an “ascetic” Faith. What does this mean? The future of Orthodoxy – if it actually even has a future at all – depends on whether we understand the essence of Orthodoxy, which is asceticism. Our word “ascetic” comes from the same root as the word “athlete,” and this is not a coincidence, for the ascetic and the athlete have some common characteristics. The athlete works out, trains hard, and exercises in order to develop the muscles of his body so that he can compete in various kinds of sports or special events. He works very hard. He may go to an exercise gym every day and work for several hours. He follows a special diet and in every possible way takes good care of himself. The ascetic is an athlete, too – an athlete of the spirit rather than of the body. The ascetic also exercises; however, he exercises not his biceps or other physical muscles, but the various dimensions and faculties of his soul. He “works out,” spiritually, through prayer and fasting, through standing at vigil, and by preparing properly to receive the sacraments. He, too, must compete, but not in a sports arena with a javelin or in some other event; no, the ascetic competes in the wide arena of this world, and his adversary, his opponent, the Devil, is quite real – as Holy Scripture teaches us. The athlete runs a race, but we, too, as Saint Paul tells us, run a race, a race to obtain the crown of immortal life with Christ in heaven. But to run this race, we must be athletes of the spirit. It is this ascetic dimension of Orthodoxy that makes Orthodox Christianity different from every other Christian religion on the face of the earth. But from what I’ve said thus far, “asceticism” is still just an abstract concept. What does it mean in practice? Again I turn to Saint Innocent of Alaska. While he was working with the Aleut and Klingit Indian tribes of the Alaskan peninsula, he was very anxious to properly communicate to them this “essence” of Orthodoxy. So he wrote a little booklet that has become a kind of classic and is widely read and studied today by people like us who are otherwise very far removed from the native Americans of the Northwest. The little book is called The Indication of the Way to the Kingdom of Heaven. In this important little book Saint Innocent talks about asceticism in the same way that our Lord Himself does: he compares it to the carrying of a cross. Our Lord said: “If any man will come after me, let him deny himself, and take up his cross, and follow Me. For whosoever will save his life shall lose it, and whosoever will lose his life for My sake shall find it” (Matt. 16:24-25), and: “Whosoever doth not bear his cross, and come after Me, cannot be My disciple” (Luke 14:27). Now in life there are two kinds of crosses, Saint Innocent explained. The first kind of cross consists of those daily annoyances, temptations, and difficulties that come to everyone just because we are human beings. Ill health, financial setbacks, misunderstandings with others, various kinds of afflictions – all of these are crosses, but they are what Saint Innocent calls “involuntary crosses.” That is, they come to us according to God’s will, whether we want them or not. If we bear these crosses without complaining, without murmuring, then they become ascetic labors that are for our salvation; but if we complain and murmur, then they are for our condemnation. It is extremely important to understand this. The second kind of cross, according to Saint Innocent, is what he calls “voluntary crosses” – that is, those special ascetic exploits or labors that we voluntarily take upon ourselves, such as strictly keeping the fast days and seasons of the Church year, standing for long hours at vigil services, and other kinds of asceticism or crosses that we may, with the blessing of our spiritual father, take upon ourselves. These are some of the ascetic aspects of our Holy Faith which are signs of true and authentic Orthodoxy, ancient Orthodoxy, the Orthodoxy of the saints. “The chief thing in Christianity, according to the clear teaching of the word of God, is the fire of divine zeal, zeal for God and His glory – the holy zeal which alone is able to inspire man in labors and struggles pleasing to God and without which there is no authentic spiritual life and there is not and cannot be any true Christianity. Without this holy zeal Christians are Christians in name only… Meekness and humility do not mean spinelessness and should not yield before manifest evil… a true Christian should be far from sugar-sweet sentimentality…” (The Orthodox Word, 1975). Concerning the extremes of the “right” and the “left,” Fr. 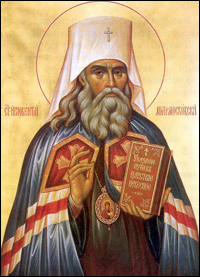 Seraphim (Rose) said that “zeal not according to knowledge” was simply “an excuse for pharisaic self-satisfaction, exclusivity, and distrust” of others – something to be avoided at all costs, and it is the exact opposite of what Archbishop Averky called “being in step with the times.” The future of Orthodoxy should belong to neither of these two extremes, neither of the right nor the left, for “holy zeal” is not extremism, it is simply true and authentic Orthodoxy. Therefore, in order to see the future and its possibilities, we must know something about what’s going on with Orthodox Christianity in both the East – in the historic countries of our origin such as Greece and especially Russia, – and we must be fully aware of what’s going on in the apostate West, too. Shortly I will speak in some detail about Orthodoxy in Russia, but first we should look briefly at what is going on with Orthodoxy in the West today. In the United States, in particular, there is a kind of broad “spectrum,” from left to right. On the extreme right we have a relatively small number of Greek Old Calendarist groups. Many of these otherwise very sincere and pious believers often squabble among themselves, sometimes for good reason, sometimes not. Fr. Seraphim (Rose) called the extremist Greek Old Calendarists “exclusivists.” Partly because of this, and partly because of the disagreements among themselves, in America they have been relatively ineffective at reaching the Western mind and soul, often presenting (perhaps without intending to do so) a very rigid and even haughty face to prospective inquirers into the Faith. In my opinion, these groups are not the future of Orthodoxy. On the “left” we have several groups that follow the New Calendar, and they have quite consciously accepted the principles of liturgical reform, innovationism, and modernism. One of these groups, in particular, is anti-monastic, which means that it vigorously opposes traditional Orthodox spirituality; repeatedly there is a call for what is called “American Orthodoxy.” Just exactly what this means, however, is difficult to say, but it is a contradiction in terms. America and her culture are by definition liberal, constantly changing, and unstable, interested in keeping her citizens comfortable and entertained and distracted from spiritual realities and needs. America also embraces everything that is modern and fashionable. True Orthodoxy, on the other hand, is by nature conservative, stable, and unchanging, even reactionary, and concerned with eternal verities, focused not on what is comfortable and perishable, but on the carrying of crosses as the only way to enter the Kingdom of Heaven. Some of these Orthodox groups are very open to missionary opportunities – and in this sense they can be very creative – but what are they bringing new converts to? Authentic Orthodoxy or some kind of “Eastern Rite Protestantism”? In other words, a church which more and more resembles the culture of the Anglican or Episcopal Church and is no longer Orthodox but something that is attractive on the outside, looking and smelling and sounding like the “real thing,” but inside it is an empty shell, incapable of giving the abundant life our Saviour promised in the Gospels. It is true that in some of these New Calendar Churches there was an initial burst of missionary growth, some of it healthy, some not. But that time is now passing as many of their new faithful discover the lives of the saints, the traditional spirituality of the Church, and other things that they had not been given when they first converted to Orthodoxy. They now want something deeper, something capable of sustaining and nurturing a profound and lasting spiritual life. Many of these seekers find their way to us, to the Church Abroad. So, clearly, the future of Orthodoxy – in spite of appearances just a few years ago – does not lie with the modernists. History shows that those who are too far to the right or to the left do not, in the end, carry the day either and, ultimately, will not even survive. Is there another way, another – “middle” – path to the future of Orthodoxy? I believe that there is. “Living in exile and poverty in a world that has not understood the suffering of her people, she [the Church Abroad] has focused her attention on preserving unchanged the faith which unites her people… Today, – Fr. Seraphim continues, – more than at any other time, we must struggle to preserve Orthodox tradition in an age of apostasy, so that the voice of true and uncompromising Orthodoxy could be heard throughout the world and have a profound effect on the future course of the Orthodox Churches… It is of critical importance, therefore, that this voice be actually one of true, that is, patristic Orthodoxy.” (The Orthodox Word, 1976). Fr. Seraphim also observed – and this is very important – that “the ‘royal path’ of true Orthodoxy today is a mean that lies between the extremes of ecumenism and reformism on the one side, and a zeal not according to knowledge on the other.” (The Orthodox Word, 1976).